Over the Easter period visitors to Kielder Water & Forest Park are being urged to once again train their eyes on the skies for the return of the Kielder Ospreys. The annual soap opera in the sky will unfold as the iconic birds return over the coming weeks, with reunions, hatches, fledgings and the inevitable departure as the summer draws to a close. In 2017, eight young ospreys – Amble, Ayle, Aln, Archer, Ancroft, Acomb, Aydon and Alwinton – were among those that migrated for warmer climes in late August, or early September. It was the first year that the Kielder osprey chicks had been given names, all beginning in A. The 2018 chicks will be named using the initial B. The bird dubbed Yellow 37, who has inhabited Kielder’s Nest 2 site in past years, has historically been an early returner from wintering grounds, probably in West Africa. It is anticipated that he will arrive back at Kielder any day. During the summer, visitors will be able to enjoy Osprey Watch and observe the birds on the nest using telescopes and the live nestcam. It starts on 21st April and runs on weekends and bank holidays until mid-August, with additional Wednesdays from July. Lynn Turner, Director at Kielder Water & Forest Park Development Trust, said: “At this time of year, we all get excited around Kielder, waiting for the return of the ospreys. “We are all looking forward to seeing our feathered friends once again and soon volunteers will be in place to help visitors get the most of their visits, with Osprey Cams at Landal Kielder Waterside and at Kielder Castle. Fans can also keep track of this year’s osprey season at www.kielderospreys.wordpress.com. 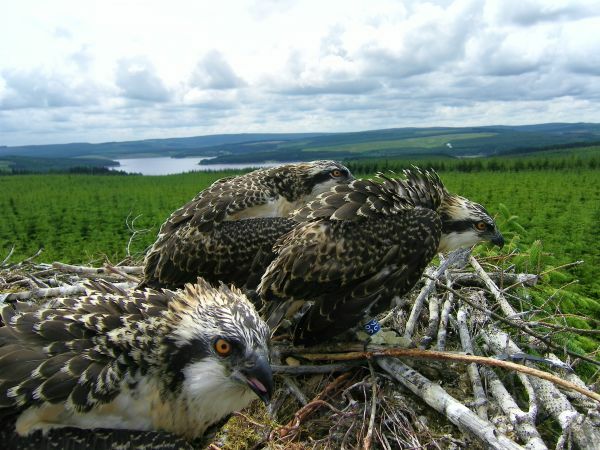 The Kielder Osprey Project is a partnership between Kielder Water & Forest Park Development Trust, Forestry Commission, Northumberland Wildlife Trust, Northumbrian Water and Calvert Trust Kielder. The partners are working hard to ensure that the ospreys are here to stay by maintaining a high quality habitat in Kielder Water & Forest Park and safeguarding and monitoring the nest sites. To find out more, go to www.visitkielder.com.